If you are an experienced arborist who has excellent tree and shrub focused skills, then First Choice Tree Care wants you! 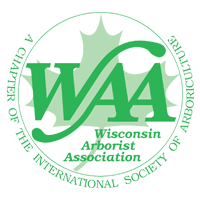 First Choice has immediate position openings for qualified arborists in the Southeastern Wisconsin area. If you enjoy the outdoors during all four seasons and are proficient in climbing, pruning and rigging, then this is the job for you. Being able to identify plant and insect diseases and having experience operating and maintaining equipment and workplace safety is also a plus. This position offers further training for you to become ISA certified and to receive the Wisconsin Pesticide Applicator Certification (3.0), if you do not currently hold these certificates. Full-time positions also receive excellent compensation packages. If you or someone you know would be an excellent arborist, please send a resume to Ken Ottman at ken@firstchoicetreecare.com. You can also visit First Choice’s website for more information.